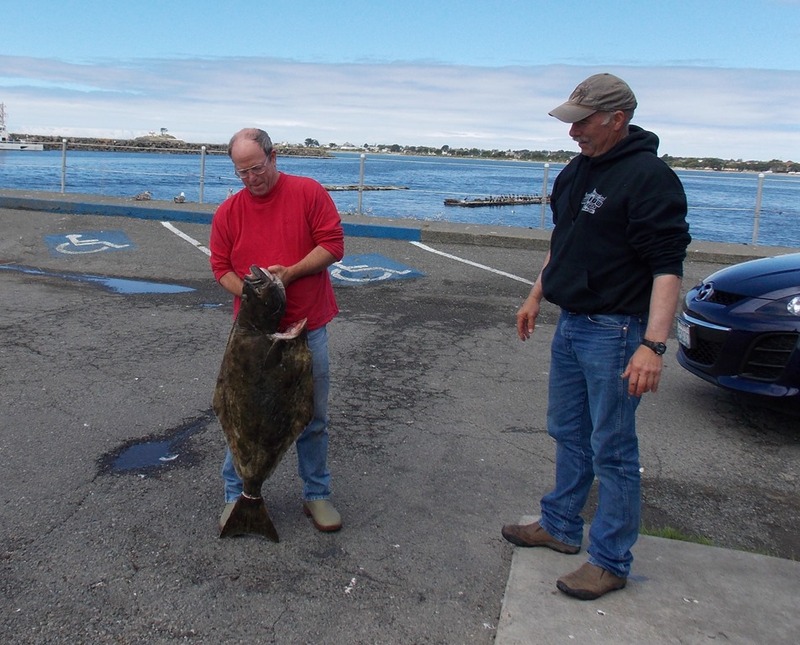 Uncle Joe gets lucky fishing on board the John Galt off Crescent City, CA and bags a pacific halibut. Caught on a 6” Big Hammer swim bait. 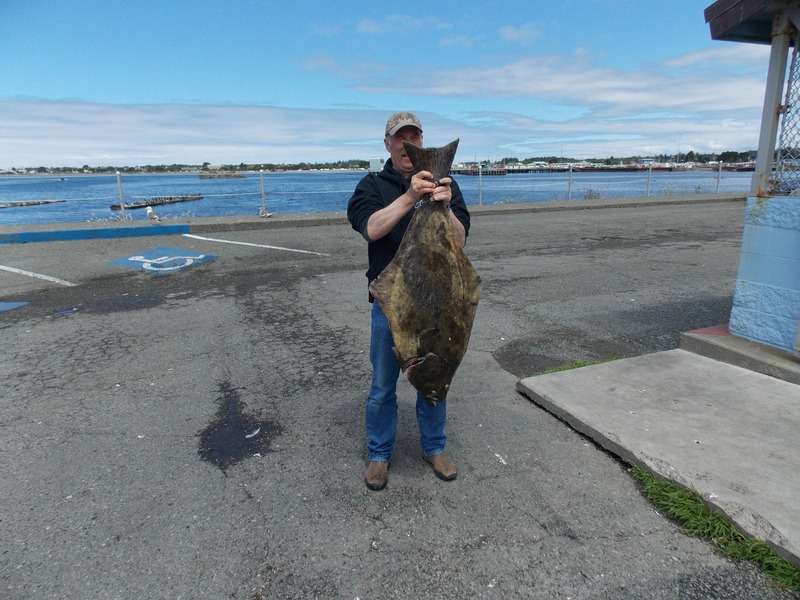 Captain Steve (aka the Grumpy Fisherman) poses with the halibut that he netted for Uncle Joe.